Minor league baseball is an effective way to reach millions of fans in communities throughout the country. 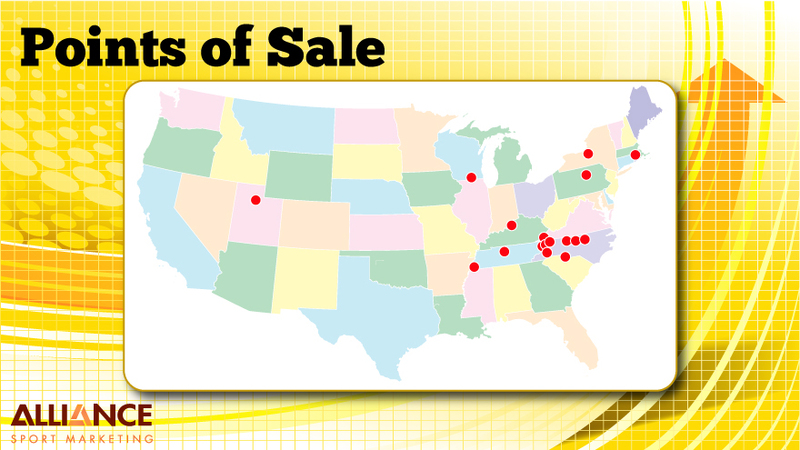 In 2011, over 49 million baseball fans attended affiliated and independent minor league baseball parks. Ann's House of Nuts and Hampton Farms Peanuts, two programs highlighted in this presentation, utilized these teams to generate sales through on-site presence in each ballpark, as well as increasing brand awareness outside of the ballpark. 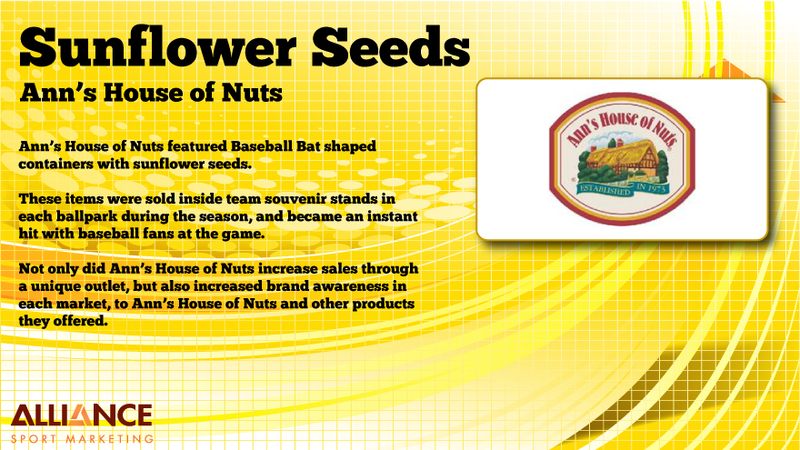 Ann's House of Nuts developed a baseball bat shaped sunflower seed container. These containers were wrapped with a wood bat marking, immediately attracting baseball fans to the product. This product was sold in team retail stores all season long, and immediately became a hit at the ballpark. Not only did Ann's House of Nuts increase sales generated through traffic at the ballpark, but also increased brand awareness for their other products, sold in local retail stores and online. Alliance Sport Marketing introduced Hampton Farms Peanuts to minor league teams in Tennessee, making them the "Official Peanut Provider" of each ballclub. 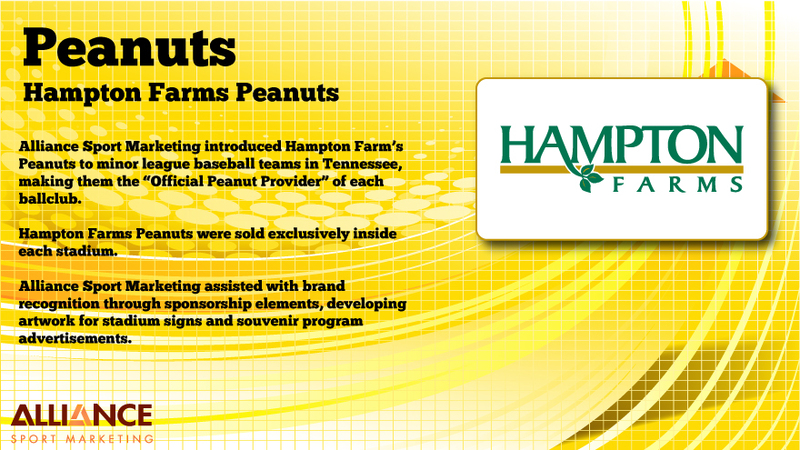 Hampton Farms Peanuts were sold exclusively in each stadium for all events during the season. 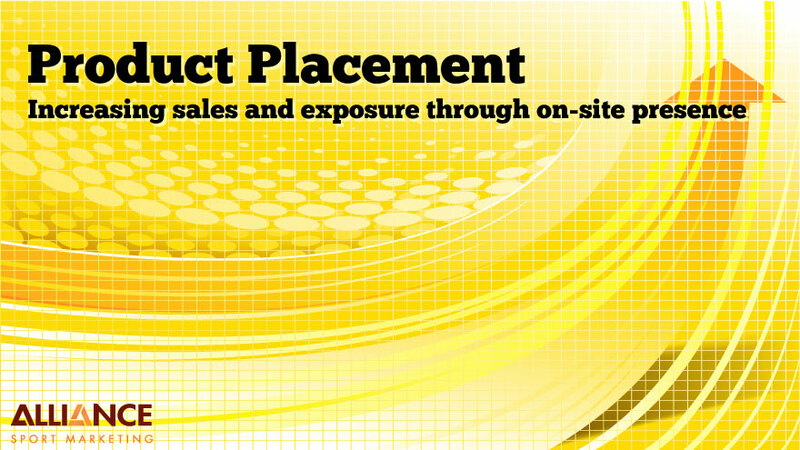 Alliance Sport Marketing assisted with brand recognition through sponsorship elements, developing artwork for stadium signs and souvenir program advertisements.